Categorical Advertising: Best Site. Best Time. 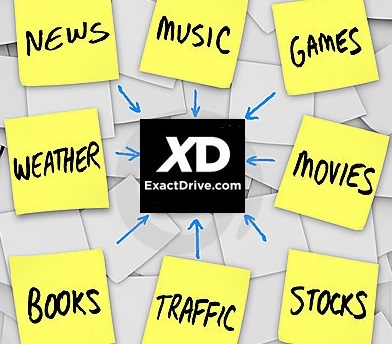 ExactDrive defines its available inventory (websites) into main categories and sub-level categories, following the categorical breakdown of the Interactive Advertising Bureau. Any categories (main or sub-level) can be included or excluded together within a campaign powered by ExactDrive's Advertising Platform. Examples include entertainment, technology, health and travel. ExactDrive invests significant resources toward the safety and quality of the inventory managed within our advertising platform. We monitor, both manually and automatically, inventory sources we make available and blacklists URLs that do not meet our inventory standards. The ExactDrive Audit Team regularly audits new inventory and reaudits existing inventory to apply categorization and metadata at the domain level. Disclaimer: While we believe that our audited domains are of a high quality, the nature of the Internet is such that it makes this process very difficult and not fool proof. For questions about this, or to report miscategorized inventory, or inventory that should be banned under our blacklist criteria please contact us.